Doug Klostermann is a travel, culture, and humanitarian photographer, as well as the best-selling author and publisher of Full Stop dSLR camera guides including Canon 5D Mark III Experience and Nikon D600 Experience. He is based in Cambridge, Mass., and is also available as a photographer of local people, places, and events. Doug has done extensive volunteer work in Peru with organizations dedicated to improving the lives and futures of disadvantaged children, and has worked with immigrants in the U.S. pursuing naturalization. His photos have been published in magazines including Conde Nast Traveler, Sherman's Travel, and South American Explorer, and on travel guide and text book covers. His travel writing and photos can be seen in online magazines including Photoburst, inTravel, Living in Peru, Adventure Life, Traveling Stories, Travelmag, and Viva Travel Guides. His images were selected for the A Day in the Life - Brooklyn exhibit, have been displayed at The Times Center at the New York Times, Brooklyn Borough Hall, the Brooklyn Academy of Music, the gallery at G.A.P. Adventures, and are in the permanent collection of the Brooklyn Historical Society. Doug is also a contributor to Photoshare, an organization which helps international non-profit organizations communicate health and development issues through photography. Doug holds a degree in Architecture from the University of Notre Dame, where he also pursued studies in photography, art, and art history. 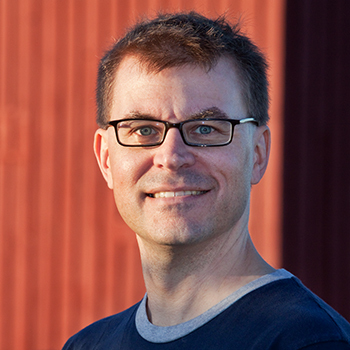 Doug is a member of the National Press Photographers Association (NPPA) and practices the NPPA Code of Ethics. My digital photography, Canon EOS and Nikon dSLR e-books are available for preview and purchase at my website bookstore Full Stop - Good Writing for Better Photography. They are also available as Kindle versions on Amazon.com and as Nook versions on BarnesandNoble.com and iPad/ iPhone versions through Apple iBooks. These instant download, digital PDF user's guides and tutorials will help you learn and begin to master your dSLR and all its features. Click the banner or titles below to learn more. 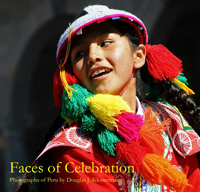 My book Faces of Celebration - Photographs of Peru, is available online at Blurb. You can learn about my gear, plus my reviews, comparisons, and recommendations of dSLR cameras, lenses, and accessories on my blog. See the Gear page here. -Yes, it has been quite awhile since I updated this! I have been busy writing and publishing my best-selling Full Stop camera guides and managing my "e-book empire." 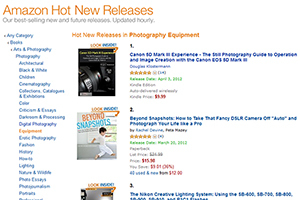 -My e-book user's guide for the Canon 5D Mark III, Canon 5D Mark III Experience, was the number one Amazon "Hot New Release" for all Photography Equipment and Photography Reference books (printed and e-book) for the entire first month after publication. -I was recently interviewed for a Halogen TV article Storytelling in Pictures: A Conversation with 6 Humanitarian Photographers. 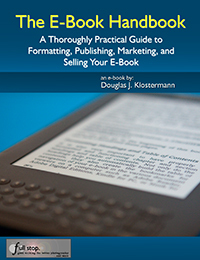 -To promote my latest e-book The E-Book Handbook, I was interviewed about e-books on this podcast. Sorry about the bad sound. 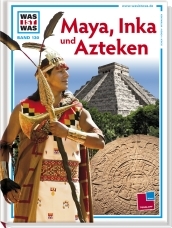 -My photo of Sapa Inca, the Inca King in the Inti Raymi procession in 2008 in Cusco, Peru is being used on the cover of the German children's picture book Maya, Inka und Azteken in the Was Ist Was series. 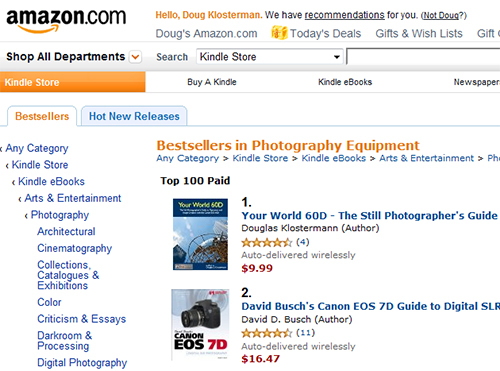 -My e-book user's guide for the Canon 60D, Your World 60D, reached the number one bestseller spot in both the Photography-Equipment and Photography-Reference categories of the Amazon Kindle store, as well as the top of the Hot New Releases. My subsequent guides including Nikon D7000 Experience, Canon T3i Experience, and Nikon D5100 Experience have also been at the top of these lists following their releases in 2010 and 2011. 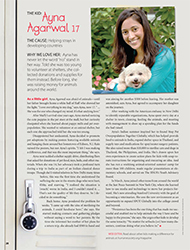 -My portrait of young animal activist Ayna Agarwal illustrates a profile of her in the Humane Society's All Animals magazine, Sept./Oct. 2010 issue. -My photos of Cambridge, MA and its neighborhoods can be seen on the cover and illustrate the inside the 2011 Cambridge Local First Business Directory. Pick yours up at local businesses starting in October. -I have relocated from Brooklyn to Cambridge, MA. I will be available for local assignments in and around Boston, and will continue to return to NYC for assignments. And of course I am always available for international assignments and projects. -I was interviewed by Heber Vega for his series "10Q - Interviews with Humanitarian Photographers." -My photo Boys in the Plaza de Armas - Cusco has been selected for the cover of an education book about festivals of Peru to be distributed to school children throughout Peru. 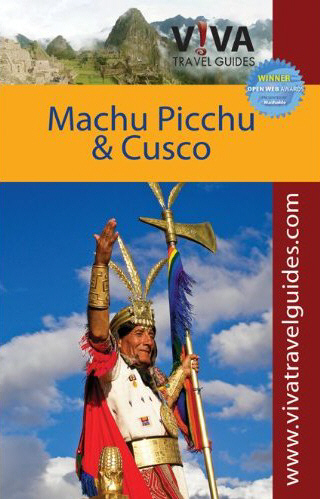 -My photo Inca King at Inti Raymi from Inti Raymi 2007 in Cusco, Peru has been selected as the cover photo for the travel guidebook "Viva Travel Guide Cusco and Machu Picchu," to be released in October 2010. My photos are also included inside the Viva - Guatemala guide (not the cover). The Viva Travel Guide series of books are available for sale on their website, on Amazon, or in bookstores. -My photo Women in the Plaza - Combapata was one of fifty selected by the United Nations Development Programme for their international "Humanizing Development" Global Photography Campaign, and is permanently on display at the headquarters of the International Policy Centre for Inclusive Growth (IPC-IG), in Brasilia, Brazil. The selected photos will be published in a book sponsored by the Presidency of Brazil, and will be exhibited internationally throughout 2010, including in New York, Bangkok, London, São Paulo, Rio de Janeiro, Johannesburg, and Bonn. -I was one of ten finalists in the Conde Nast $25,000 Dream Trip Photo Contest 2009, selected from over 19,000 entries, with my photo Boys Emerging From Church - Pisac. 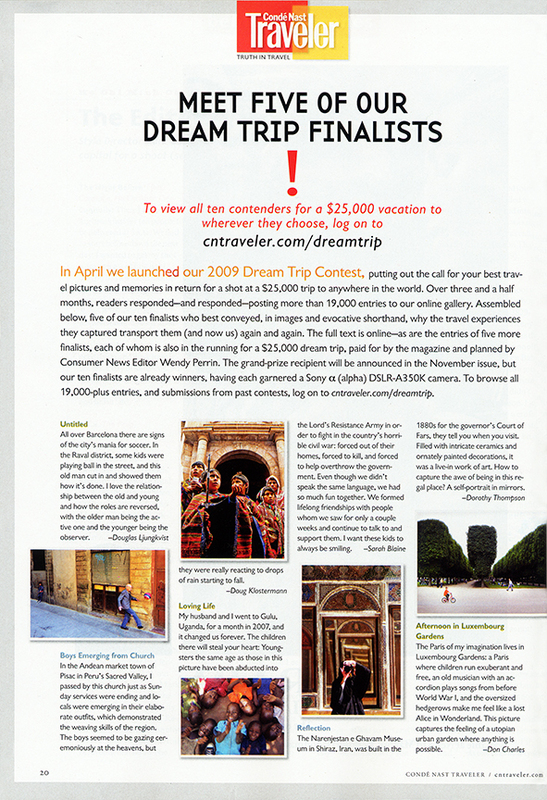 My photo can also be seen on page 20 of the October 2009 issue of Conde Nast Traveler magazine. -An exhibit of my Peru photos was displayed at The Times Center in The New York Times Building in NYC, in conjunction with the Voces screening of documentary Soy Andina, in September, 2009. -Select Peru photos were exhibited in the gallery at GAP Adventures Travel Store in Greenwich Village, NYC, from June through July, 2009. -I have been named to the "Jury Selection" in the Pikeo "Moments of Togetherness" Photo Competition with my photo Campesina with Vicuna. -I was selected as the Featured Artist for the Brooklyn Philharmonic's Nuevo Latino Festival in January 2009. 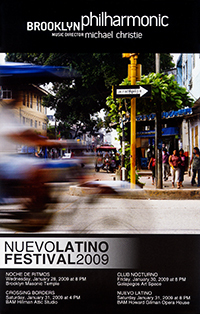 My photo Pucallpa - Mototaxi was on the program cover for all the performances, and select Peru photos were exhibited at BAM, The Brooklyn Academy of Music. -My essay Values, Principles, and Love - about volunteering with Aldea Yanapay in Cusco, Peru - was a finalist in the Traveling Stories Magazine travel writing contest. ©2011 Douglas J. Klostermann - All Rights Reserved. All images on this site www.dojoklo.com are protected by full copyright and are the exclusive property of Douglas J. Klostermann. No images may be used without written permission of the artist, including copying, printing, publishing, unauthorized distribution, or transmitting by any means.